Danger Will Robinson! These ain’t local branches of HC! HomoClimbtastic is totally independent of the local clubs listed below–none of them have control over us, and we don’t exercise any control over them. HomoClimbtastic is not the queer climbing UN. HC is much more like international waters, or the Isle of Man, or Monaco. What do the local clubs do? Virtually all of the local clubs hold weekly-ish climbing gym meetups. Most train beginners, making them a good inroad to the climbing world for the unaquainted, and most host outdoor climbing trips for both beginners and experts. With an HC convention only once a year, a local club is a great option for meeting queer climbers naow and training with them on the regular. They are also usually your best choice if you don’t yet know how to climb. 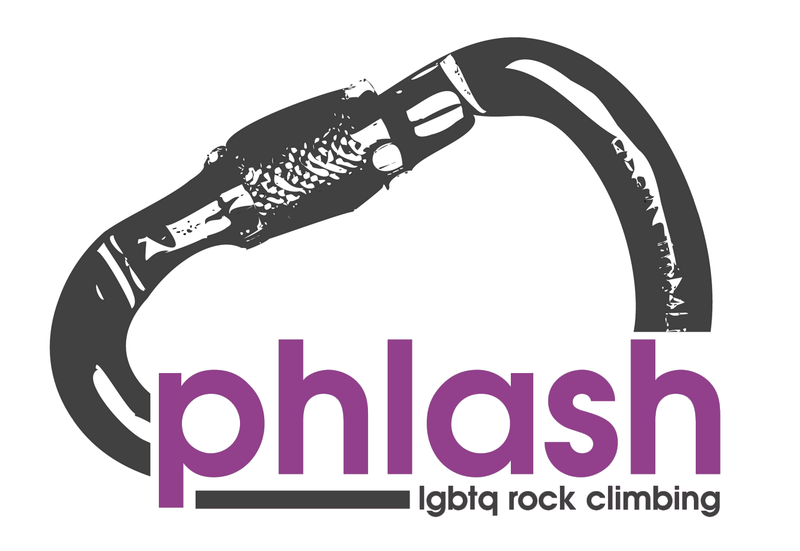 Our mission: to bring Philadelphia’s LGBTQ rock climbers together and introduce rock climbing to the greater LGBTQ community. How we do it: We meet every other Monday at a rock climbing gym in Philadelphia, and have Sunday Beginners’ Nights every two months. We also provide a facebook group (https://www.facebook.com/groups/phlashclimbing/) and website (http://www.phlashclimbing.org/) as forums to connect the community online. The group has a good mix of beginners and experienced climbers in it, so you’re guaranteed to find someone at your skill level if you come out! 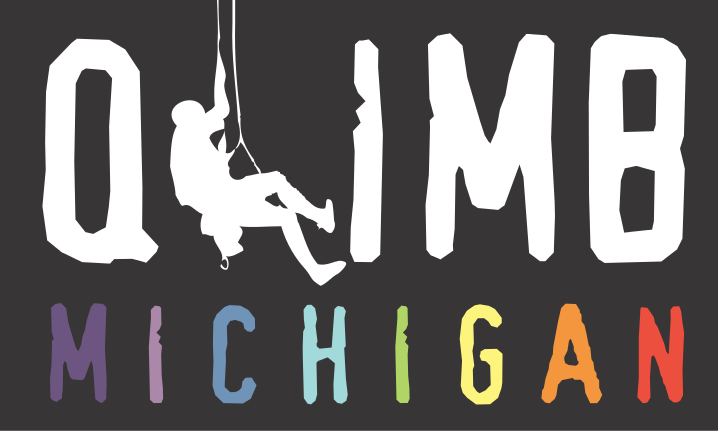 Qlimb Michigan is a group of LGBT climbers and allies in Michigan.Meet up at Planet Rock in Ann Arbor every Thursday night 7:30pm. Some members climb on other days too. Let us know which day you would like to climb. We organize group trips to Red River Gorge in Kentucky and New River Gorge in West Virginia and also join the north American LGBT climber organization – Homo Climbtastic (https://www.facebook.com/groups/hc.climbers/) – a few times a year on climbing trips all over the US. DC Rainbow Climbing is a GLBTA group that’s geared towards providing a casual, social environment for anyone interested in Rock Climbing. Indoor or Outdoor meeting places will be dependent on availability and the season. Whether you’re just looking for a fun way to stay in shape, or would like to develop better climbing technique and skills, activi…ties with DCRC will provide a fun atmosphere with old and new friends to challenge your body and mind. CRUX is a social club for lesbian, gay, bisexual, and transgendered New Yorkers and friends who are interested in rock climbing. We climb indoors at gyms in NYC and Westchester and also facilitate outside trips to locations including the Gunks and Rumney. Most events are open to everyone no matter what your climbing experience. Flame and Flash is THE Bay Area’s queer and ally rock climbing club. For now, use the facebook group to meet other LGBT Climbers in the area, find partners, and plan trips. Real Orlando Climbers- The central Florida divison of climbers who know that this sport is fun for everyone. This group is inspired by several gay friendly climbing groups from around the US and Canada who make their mottos “Climb hard, no matter who or what you are”. This group is for everyone from beginners to experienced climbers who support and have fun with everyone. We’re not afraid to teach, we’re not too proud to learn… Everyone brings something to the table and that’s what climbing and having fun is all about. Because Florida does not offer any real outdoor climbs, we take trips to several gyms in the state including Orlando, Miami, Melbourne, and St. Petersburg. We also venture into the outdoor world with orienteering, mountain biking, road biking, wakeboarding, running, swimming, yoga, boating and free diving. Founded in August 2010, Routes & Fruits welcomes queer (and straight) climbers of all levels. We climb at the gym weekly during the wet months, monthly in summertime – because when it’s dry we spend as much time as we can in Squamish. For more information, follow us on our Facebook page, at https://www.facebook.com/routesandfruits or email us at routesandfruits@gmail.com. St. Louis Mo Climbers is a climbing group for queer and ally climbers in and around St. Louis. Founded in November 2008, the club is always looking for new faces. The Club meets every Monday from 7:00-10:00 p.m. for indoor climbing at Upper Limits Rock Gym. In addition, the first Monday of each month is designated as “Bouldering Night” — practice your technical climbs sans harness and heights. The Club welcomes all ages and climbing skill levels. For information about outdoor excursions and updates, become a member via Facebook. There’s no inside joke to this one, it’s just a t-rex and a disco ball. 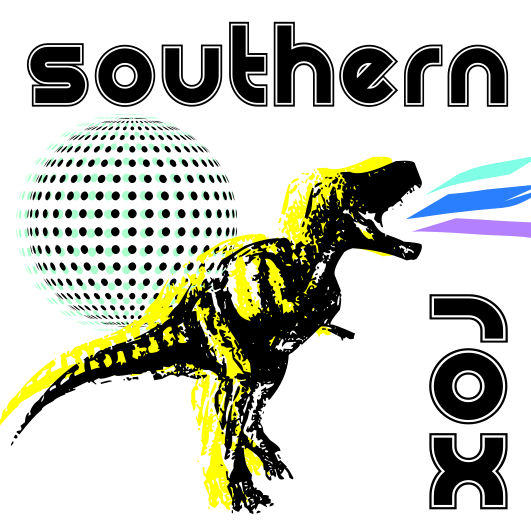 Southern Rox has for the moment a rather expansive territory, but that’s probably because they don’t mind driving hours and hours every weekend to climb all over the southern regions. Aside from climbing/bouldering in Alabama, Tennessee, Georgia, and the Carolinas, they also venture up to Kentucky and West Virginia. LA Heel Hookers is the Los Angeles area LGBT (Gay and Lesbian) rock climbing group. It organizes climbing meetups and trips in and around the Los Angeles, SoCal area. Who are we? Firstly, we’re climbers. We crank it at the rock climbing gyms here in T.O. multiple nights a week in order to get uber strong for the outdoors on weekends and big trips. We and our friends are pretty much addicted to the sport. We live and breath it, plan our vacations around it, trek it with other dirtbaggers out there to various climbing hot spots, and live our lives looking at brick walls and buildings around the city thinking “I could climb that”. Climbing is what we know, love, preach, and protect. Point is we’re just a group of climbers with ‘mo tendencies. Plain and simple. Because at the end of the day at the crag, the only thing that matters is what you sent. For ‘mo information, just send a shout through our Facebook group or site. A group of Texans (and not) mostly based in Austin (unless we aren’t) who happen to be LGBTQ (and friends) and climb a lot. We’ll be organizing climbing days at Reimer’s, the Greenbelt, Roger’s park, E-Rock, and trips to Portrero along with fabulous destinations around the world. And possibly Austin Rock Gym for those of us who aren’t currently banned. We are a list of over a hundred queer women climbers. Our central headquarters is in San Francisco, but we have members internationally and that is our goal – to have members across the globe, so that when we travel to climb we can connect with others for beta and maybe some climbing. We support members organizing their local areas under our umbrella. Most of us are active in other climbing groups and do not limit our climbing fun to climbing with queer women.